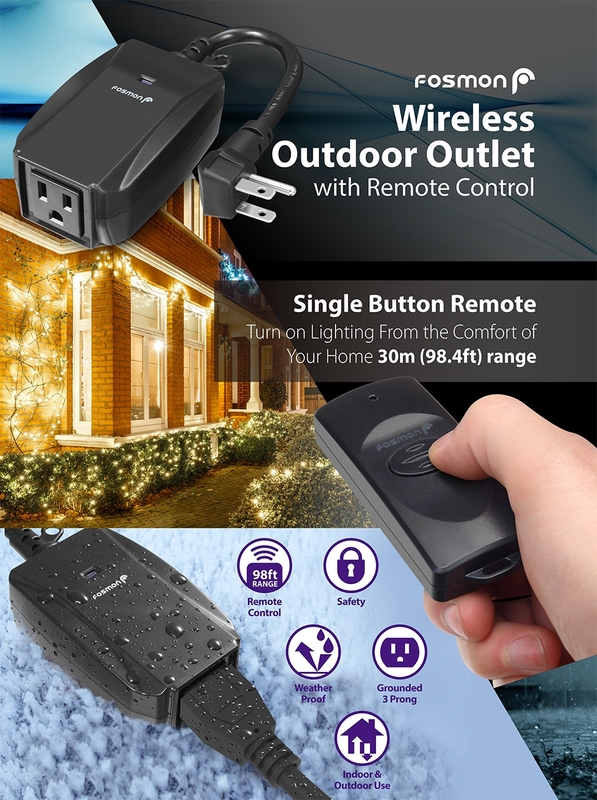 [CONVENIENT]Conveniently turn your outside lights on from indoors or turn on hard to reach switches with the click of a remote. 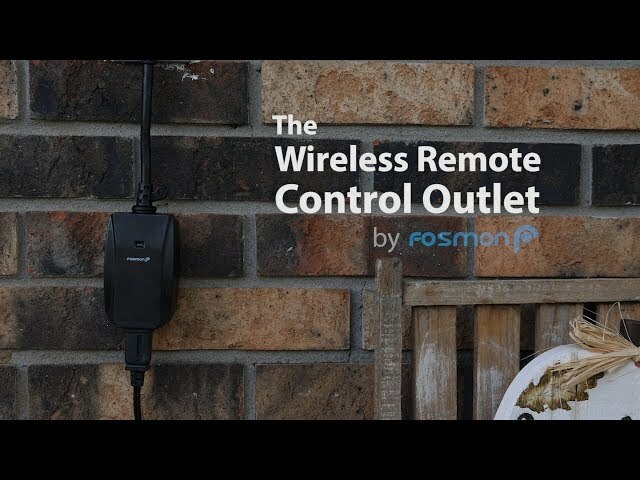 Remotely turn your indoor and outdoor lighting ON/OFF anytime with Fosmon’s wireless remote control outlet. It is ideal for seasonal lights and lamps. Conveniently turn your outside lights on from indoors or in your car with its 30 meter (98 foot) range. Great for turning devices ON/OFF in hard to reach places. Perfect for the elderly and those with limited mobility and back pain. Durable, weather resistant construction for outdoor applications with a grounded 3 prong AC plug that plugs into any standard outlet. Fits comfortably in your pocket, purse, and glove box or on your key chain. Great for TVs, lighting, heaters, sprinkler systems, terrariums, aquariums, humidifiers, and more. Simplistic design with an ON/OFF button for ease of use. Quick installation with no additional tools needed. This Fosmon product includes a limited lifetime warranty. Please visit Fosmon's website for more details.